The best of both worlds: a classic tartan kilt blended with a modern utility cargo kilt, designed to stand up to rugged wear with ease while looking stylish wherever you wear it. 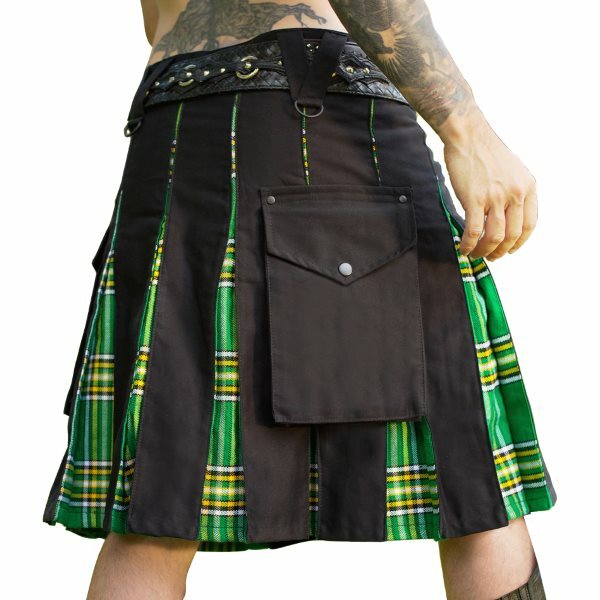 + A quality 5 yard kilt with everything you love about the classic tartan kilt and with all of the functionality of a utility kilt. + Made of 100% heavy duty black cotton and 13oz acrylic woven tartan cloth. + Regular 62cm (24") drop and deeply pleated traditionally to sett. + Two side straps to fasten Kilt; Straps allow kilt to give or take roughly 10cm (4") either way on the stated size. + Deep cargo pockets on each side with carpenter's flags for storing essentials like mobile phones and wallet.